Welcome to The Living Journey – a collection of journal entries and photographs by our own Residents that offers an exclusive glimpse into their adventures at sea. Experience The World through their eyes as they share personal and authentic stories of what it’s like to travel the globe from the comfort of home on this luxurious ship. These posts capture their once-in-a-lifetime experiences not found anywhere else on earth. This blog is continually updated so we invite you to come back and visit often. 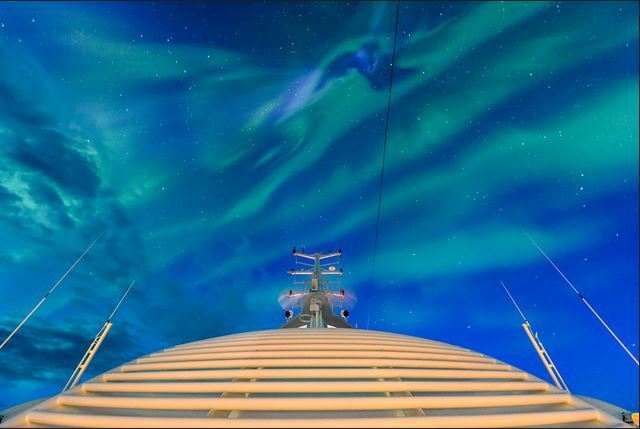 In the early morning hours of August 16th, as the Ship was traveling just southeast of Iceland en route to Akureyri, those on board were treated to one of nature’s most spectacular displays, as the lights of the Aurora Borealis lit up the sky above. © 2019 The World Resident Holdings, Ltd. All rights reserved.